Learn how to get the most out of your Euro currency with this Spain Money Transfer Guide. It makes no difference if you want to transfer money to Spain or you are Spanish resident who wants to send money abroad, our listed Foreign Exchange companies have your needs covered. MoneyCorp will provide a fee-free transfer to any of the popular destinations like UK, Canada, USA, Australia, Italy, France, Austria, Israel, Mexico or any of the many locations supported. Just fill the quote form on their website and you will be contacted by one of their specialists. Currencies Direct is another company that will offer a zero fee money transfer to one of their 100+ destinations. They work with more than 40 currencies, and because Euro is used by so many countries, you can understand that they have worldwide coverage. They have an office in Mojácar, Spain, so if you want to talk with a representative on the phone or do an in-person talk, be sure to check their contact page for the complete address and office hours. With a valuation of more than 1 billion dollars, TransferWise is one of the most used services for international money transfers in the world. Its low rates and transactional transparency makes it the go-to solution for thousands of clients each day. Important: All three companies mentioned above provide a multi-language website and Spanish is one of their supported languages. So if you feel more comfortable using the website in Spanish, be sure to use this feature. Because Spain is part of the European Union, the money transfer business is regulated by the same laws as any other country involved in this group. And in contrast with the USA, the Euro using countries don’t have state by state or region by region regulations on this subject. If a company has an office or has the licensee to operate in a country, it can provide the service to the whole country. Currencies: All of the companies previously recommended by us have access to a huge number of currencies with which they work every day. So you can easily transfer money to countries like Italy, Germany, the Netherlands, Switzerland, Austria, Hong Kong, France and Greece. But also remittances dependent countries that are popular in the immigrant communities in Spain like Portugal, Romania, Morocco or Brazil. The ECB is one of the most independent global central banks which should preserve stability and a strong currency, but the bank finds it very difficult to reconcile internal stresses and divisions. Price stability is the overriding policy objective for the European Central Bank (ECB). If the central bank can maintain a united stance its mandate makes the bank one of the most independent global central banks which provides underlying currency backing. Monetary policy is a very important determinant of the underlying Euro valuation. There is a cyclical trend with the currency strengthening when the bank is in a tightening phase, weakening when interest rates are being cut. The German economy tends to be the dominant influence within the overall Euro-zone. The country has an extremely powerful export base which provides underlying structural Euro support with a robust balance of payments position. The currency will tend to weaken only when there are substantial net capital flows out of the Euro on yield grounds. These outflows tend to intensify when there is a positive trend in global risk appetite and optimism over high returns. The ECB has been forced to deal with severe structural issues since the Euro’s 1999 launch. The lack of fiscal transfers increases the vulnerability of individual countries to recessions if monetary policy set by the central bank compromises economic and financial stability. The national currency of Spain has been the Euro since 2002 when they replaced the Spanish peseta. The Euro is a much more transacted currency and is the second most used reserve currency in the world, after the US dollar. Real Estate: The prices on Spain’s property market are, on average, 40% below the numbers we saw before the crisis in 2007, but the specialists predict a slow and steady recovery. So for those interested in investing in real estate, Spain and Italy are the go-to markets of 2015. Tourism: Spain has always been one of the most visited countries in the world and ranked second, after France, in 2007. With over 60 million tourists almost every year, it is easy to see how big of impact tourism has in this country. It provides employment for millions of Spanish people and contributes a lot to the country’s GDP. Thinking Of Relocating To Spain? If you consider moving into Spain and live there as an expat, you may find the following information helpful. 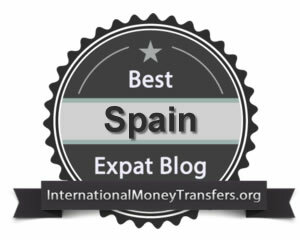 Or you can check out our article about the Best Expat Destinations in Spain. Affordable Rents: Average rent is 500 EUR in major city centres. Affordable Healthcare: Very modern hospitals and doctor’s offices that are 20% less expensive than the United States. Easy to Relocate for EU/UK Citizens: Spain has an open door policy to the EU and UK residents. High Unemployment: 22.37% Unemployment Rate. Low English Proficiency: Elderly generation speaks little or no English. High Crime: Due to tensions from North Africa and refugees, there has been an increase in crime. Popular cities for business and real estate transactions in Spain are: Madrid, Barcelona, Valencia, Seville, Zaragoza, Malaga, Murcia, Palma de Mallorca, Las Palmas de Gran Canaria and Bilbao. How expensive are Spanish banks? During a recent trip to the Mayan Riviera, you happened upon the perfect condo – steps to the beach and breathtaking views, all for an unbeatable price. To buy it, though, you need to send a down payment of 250,000 MXN. If you do it through your bank (BBVA), you’ll pay a rate of 20.8505 (as of 8:04 pm GMT, April 1). To complete the transaction, you’ll have to send 11,990 EUR. However, if you make use of an online money transfer company, you’ll pay an average exchange rate of 21.8047. This price means you’ll only have to send 11,465 EUR. With 500 EUR extra, you’ll have plenty to spend on the bits and bobs you’ll need when you move in. 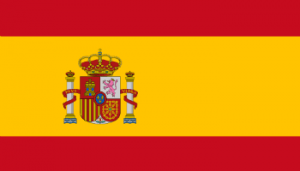 Send Money to Spain: Companies that provide international money transfers to Spain. Send Money from Spain: Companies that take on Spanish Customers. Spain has no regulations or currency controls, as a member of the single currency Eurozone. Transferring money in and out of Spain is not restricted for non-residents and residents alike, despite being hit hard by the 2008 Eurozone crisis. Banco de España (the central bank of Spain) oversees payment systems to ensure the stability of their financial sector. Foreign Direct Investments (FDI) in Spain do not require government approval, unless they exceed EUR3 million, or originate from a tax haven. Spanish residents are taxed on any foreign income. Non-residents are taxed on any income originating in Spain. Double tax treaties are in place to avoid double-taxation. Prepping For A Move To Spain? In love with tapas and cerveza? Liking good weather all year round? Than maybe Spain is indeed your ideal destination. If you are still here, still reading this article, it means that you are now ready to change the way you send money to Spain. Forget about the banks that charge outrageous fees every time you need to make a wire transfer to Spain or send money from Spain abroad – you can do better. By using the FX companies we have listed in this guide you will get zero fee transfers, great currency exchange rates and all of this with the same day delivery.